Edwin H. Land, Cambridge, Mass., 1946. Polaroid Corporation Records. Baker Library, Harvard Business School. 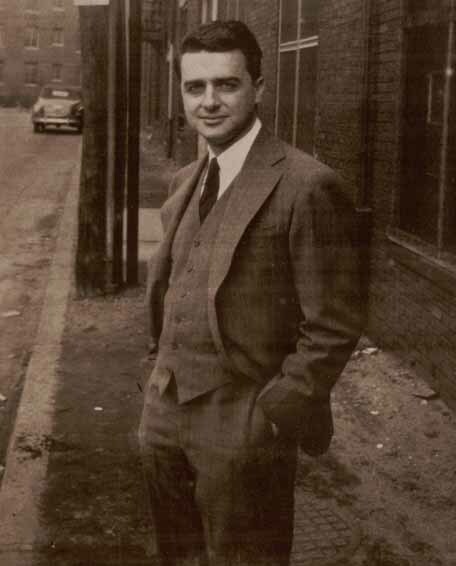 BOSTON—In 1943, Edwin Land, who had first made his mark in 1933 with a patent for the development of an affordable light-polarizing material to eliminate glare from automobile headlights and the sun (the first of more than 500 patents he would hold during his lifetime), was on vacation with his family in Santa Fe, New Mexico. One day during that trip, his young daughter asked him a question that would change photography forever. Why couldn’t she see right away a copy of the photograph her father had just taken of her? Why indeed. Thus was born the idea of instant photography and eventually the Polaroid Land Camera that Land demonstrated for the first time on February 21, 1947, at a meeting of the Optical Society of America in New York City. He was just 37 years old. 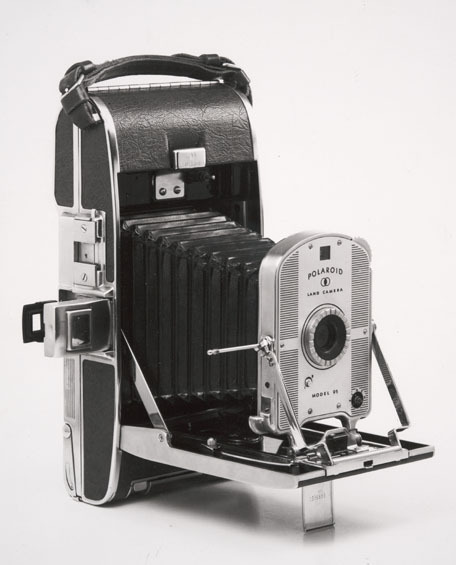 The first commercial version of the camera (dubbed Model 95) and its special self-developing film went on sale with considerable marketing fanfare the following year. Polaroid Land Camera Model 95. Polaroid Corporation Administrative Records. Baker Library, Harvard Business School. These early days of Dr. Land (who died in 1991 at the age of 81) and the iconic Polaroid Corporation he founded are chronicled in a new multimedia exhibit in the north lobby of Harvard Business School’s Baker Library. Titled “At the Intersection of Science and Art: Edwin H. Land and the Polaroid Corporation – The Formative Years,” the exhibit, which is free and open to the general public, will run until July 28.
examples of the company’s path-breaking advertising efforts. “The Boston area is broadly acclaimed as a center for innovation and entrepreneurship, representing not only what is possible today but also the potential for the future driven by the dynamic partnership of the academic, business, and finance worlds,” says Laura Linard, Director of Special Collections at Baker Library.